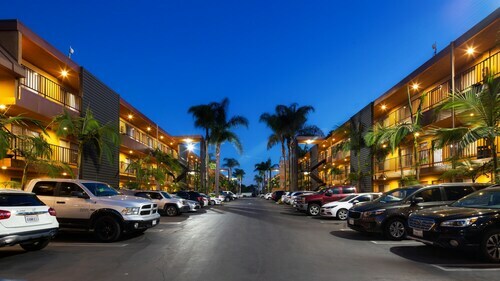 This contemporary, 15-story Anaheim hotel is within a half-mile of a private entrance into Disney California Adventure® Park. The Anaheim Convention Center is within a mile. 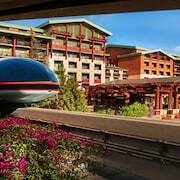 How Much is a Hotel Room in Disneyland® Park? 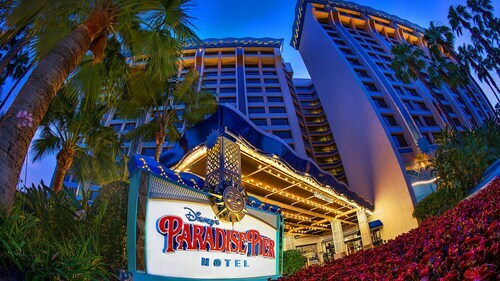 Hotels in Disneyland® Park start at $337 per night. Prices and availability subject to change. Additional terms may apply. 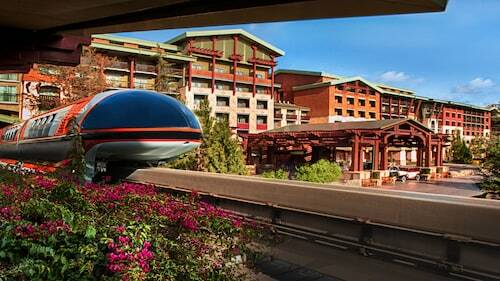 Inspiring hotel options are waiting for you in Disneyland® Park. If you're chasing accommodation within a 6-mile (10-kilometer) distance of the heart of Disneyland® Park, Travelocity's comprehensive database features 181 hotels in that area alone. Are Disneyland® hotels pet friendly? 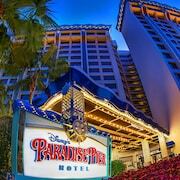 What hotels are directly across the street from Disneyland®? 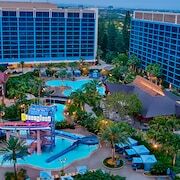 Howard Johnson by Wyndham Anaheim Hotel & Water Playground: Just minutes from the theme park on foot, this hotel is a hit with kids thanks to its water slides and pirate ship. Courtyard by Marriott Anaheim Theme Park Entrance: As the name suggests, this hotel is about as close to Disneyland® as you could hope. 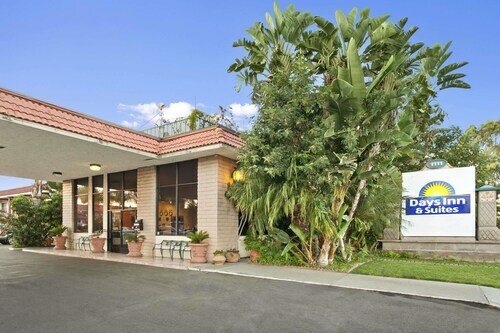 Camelot Inn and Suites: Across the street from the theme park, this charming hotel features a chalet-style exterior and heated pool. What hotels have shuttles to Disneyland®? There are so many things to see and experience at Disneyland®, from thrill rides to live shows, so it’s good to know many Disneyland® hotels offer shuttle services to whisk you to the theme park in minutes. 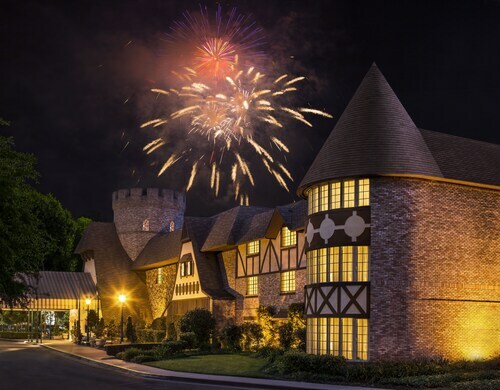 If you’re staying at the Homewood Suites by Hilton Anaheim-Main Gate Area, you can jump on one of the swift services to and from the theme park for a small fee. 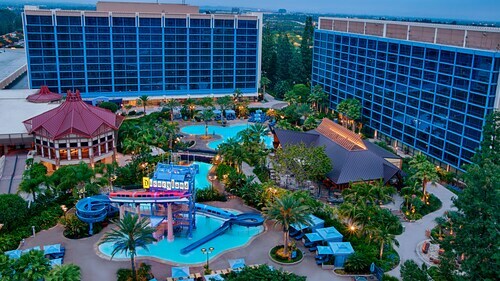 Other good options where you can take advantage of shuttle services to the theme park include Anaheim Marriott, which has an outdoor pool, and the budget-friendly Anaheim Islander Inn and Suites. What hotels have free shuttles to Disneyland®? 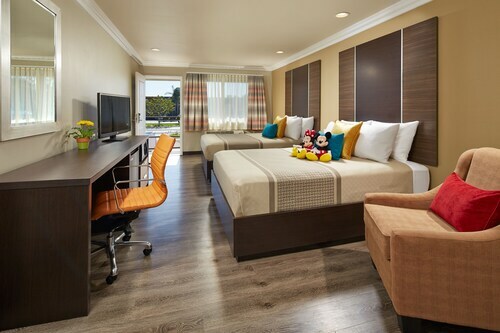 Days Inn & Suites by Wyndham Anaheim At Disneyland Park: As well as being one of several hotels to offer free shuttles to Disneyland®, this hotel will get you in the mood with its Mickey Mouse-shaped pool. Great Wolf Lodge: This resort is a destination in its own right, thanks to its many restaurants and indoor waterpark. The Hotel Fullerton Anaheim: An elegant place to stay with its own sports bar. Clean, close to Disneyland, friendly and helpful staff. 5 days ago by A verified traveler from Seattle, Wa.